but the willingness to make a difference. the future of the South Street Seaport. make a donation, of money, it will be put to good use. Save Our Seaport (SOS) is a grassroots organization devoted to creating a new vision for the future of the South Street Seaport Museum, the Museum’s waterfront and boats, the Historic District and the old Fulton Market. 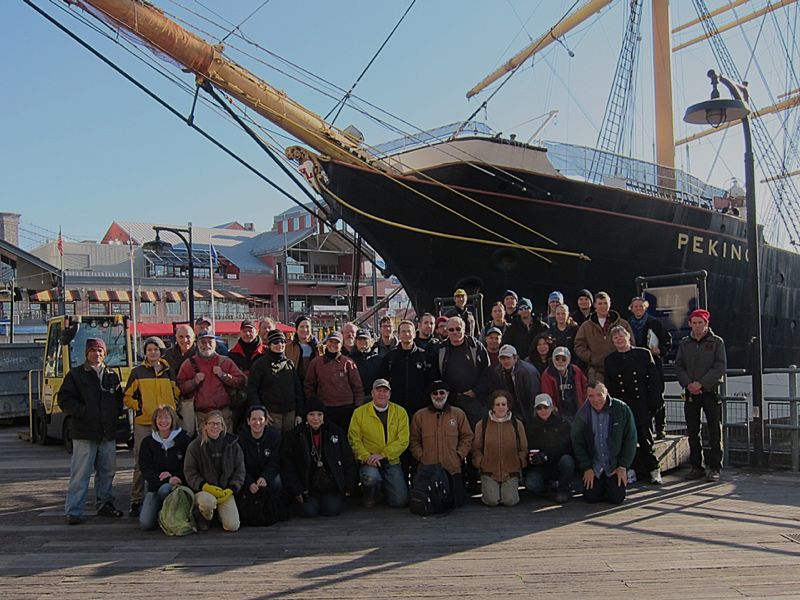 Founded by Peter Stanford, SOS is an all-volunteer group of concerned New Yorkers who want to revitalize the South Street Seaport in a way that preserves its inherent character as the public steward of New York City’s maritime history. We will not allow this world-recognized treasure of our City to be destroyed by commercial development. In 2015, community support for preserving the South Street Seaport was successful in defeating a disastrous plan for a residential tower between the Seaport and the East River. But the fight is not over. The South Street Seaport Museum is still in peril and development projects slated for the district are all focused on retail, dining, and entertainment uses. Public use and maritime history are being squeezed out. It will take vigilant and informed public effort to keep the South Street Seaport historic. To support this effort, we offer briefs to the key elements of the Seaport that are in play, and the issues that are at stake. We hope you will find these briefs helpful, and will share them with others. Together, we can save our Seaport. For more on WHY WE FIGHT, click here. For a brief on the Lightship Ambrose, click here. For a brief on the Seaport Working Group, click here. For a brief on the New Market Building, click here. For a brief on Pier 15, click here.